I have been reading about your bottom wax. I have tried several products over the years and none have worked as advertisied. I am on Lake St. Clair in Michigan. 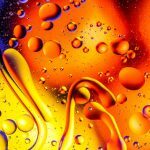 My question centers around protection against Osmosis blisters and the will the product prevent growth. On the product page it shows the growth on the bottom of the boat at the end of the season. The statement is “…it comes off easy….” Will I get growth like this while in the water? Does it come off while driving? Do I need to scrub routinely? 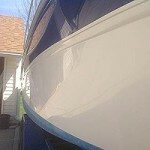 When properly applied, VS721 Bottom Coat will seal the bottom of your boat against water penetration and therefore Osmosis blisters from this cause. You will get the same anti-fouling protections as you will from VC17 type paint, without the sanding, toxic biocides and hassle. If you use your boat on a regular basis, the movement through the water will keep it clean. 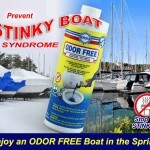 If the boat sits at dock, you will eventually get some slime on the bottom, but this is easily removed with a sponge, Marine Power Mitt, or brush. At the end of the season, if you have some slime on the bottom, it washed off easily with a sponge or Marine Power Mitt and Boat Clean Plus. It’s easier and faster using a sponge to clean the bottom than using a pressure washer. The slime just wipes off.